With the mobile processor race having officially started off a bit before 2016, things are getting nice and interesting until we get to take a look at the Exynos 8890 and the Snapdragon 820 next year. A couple of days back, soon after the launch of both the chipsets, we saw some single core benchmarks surface which put Apple’s A9 in the top spot. Today, some multi core scores have surfaced which end up showing some predictable results yet again. When it comes to single core performance, Apple’s A9 is king. The Cupertino manufacturer has managed to take the lead in single core results consistently over the past couple of years, with other manufacturers always following than leading. But move towards multi core performance and the strengths of Android processors can be seen clearly. When it comes to cores, we’ve got processors that range from quad to deca cores which however does not necessarily mean a proportional increase in performance. 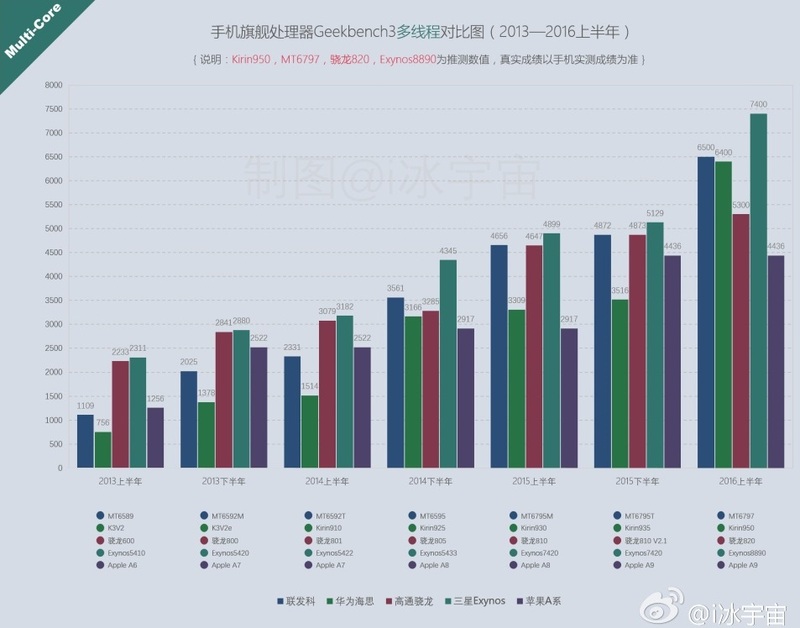 Today’s benchmark scores show that to some extent, with Samsung’s recently launch and much hyped about Exynos 8890 in the clear lead. The Korean manufacturer follows a quad core big.LITTLE architecture in its processor designs, with four cores being ARM’s Cortex A53 and the rest being Samsung’s own Mongoose M1 designs. Custom cores have started to gain an increasing prevalence in the smartphone world, with US chipmaking giant Qualcomm also introducing custom Kryo cores on the Snapdragon 820. 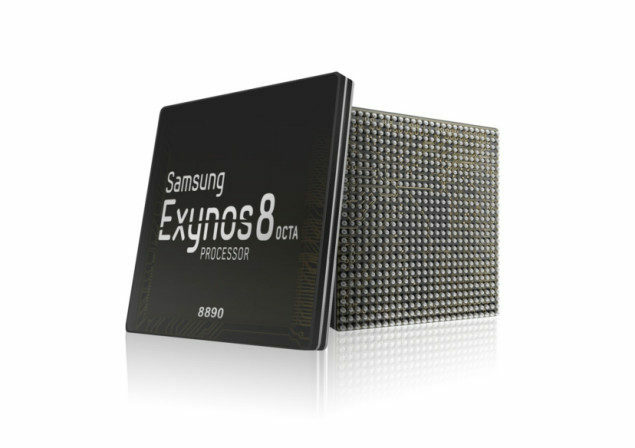 But its Samsung that manages to win this one, with the Exynos 8890 scoring 7400 in aggregated multi-core scores. Second in place MediaTek’s MT6797 with 6500 points and followed very closely by the Kirin 950, that comes with a score of 6400. In fact, the Snapdragon 820 comes in fourth place and is far behind the rest of the pack with a score of 5300. While these scores are highly preliminary in nature, it does make us wonder that will the Snapdragon 820 be able to hold its own in the market once devices featuring the processor start to become available? Qualcomm does seem very confident of the chipset, with the company leaving no opportunity to tout the 820’s close component integration and above par graphics performance. With their strong scores, MediaTek and Huawei have also finally start to match up with the top players in the industry and whatever the case may be, 2016 is going to be one interesting year for mobile hardware. Thoughts? Let us know what you think in the comments section below and stay tuned for the latest.